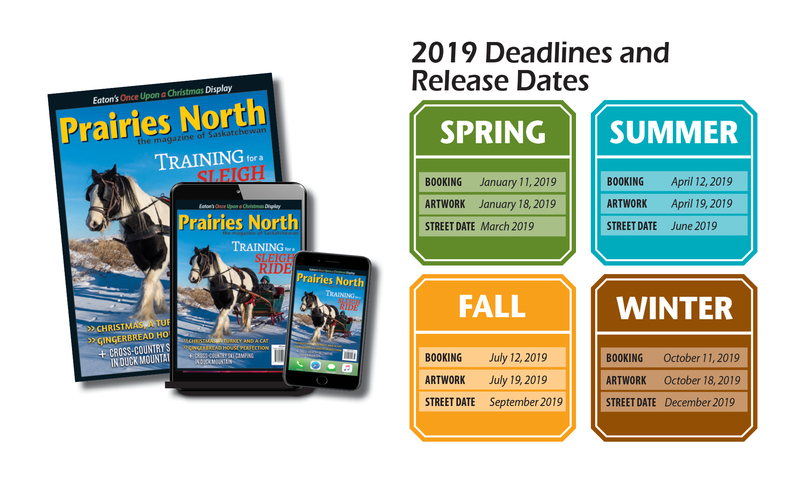 Prairies North Magazine is a good fit for you! Prairies North has a 19-year track record of delivering beautiful award-winning photography and stories. We offer advertisers a unique opportunity to reach a loyal audience through a trusted media. • showcase the beauty of all of Saskatchewan, border to border. • are a Saskatchewan-based, family-owned business. • provide content that resonates with Saskatchewan people who renew their subscriptions faithfully and long-term. Our readers take the time in their favourite magazine to notice advertising, jot down important information, and look up web addresses that will enable them to plan trips, visit businesses and recreational spots. They use the magazine as a tool to discover more about our province. If it’s Saskatchewan, they look for it in Prairies North. We Reach affluent paid subscribers in a credible way. And your ad message has a prolonged lifespan and staying power in front of a captive audience!